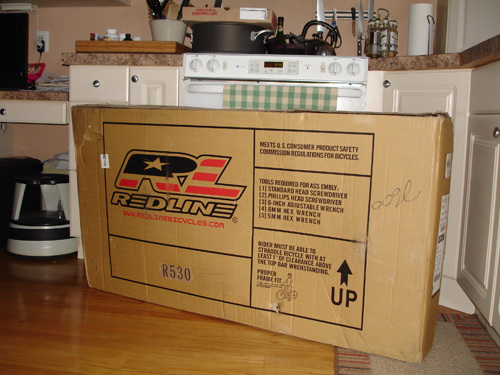 The other day, our friends at Redline Bicycles sent their R530 to me to test. This is Redline’s version of a European city bike, and it comes packed with lots of features, comfort and utility. -Lightweight 6061 aluminum frame that is specially designed for utilitarian use. -Shock absorbing Suntour front fork with 50mm of travel. -Quiet, “maintenance free,�? easy shifting Shimano Nexus 7 speed drive train & highly efficient roller brakes. 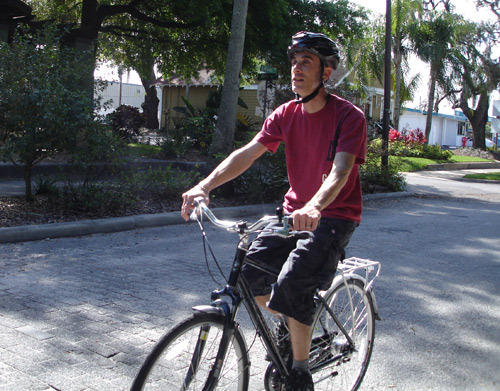 -Easy fit handlebars & stem adjust for comfortable upright riding positions. 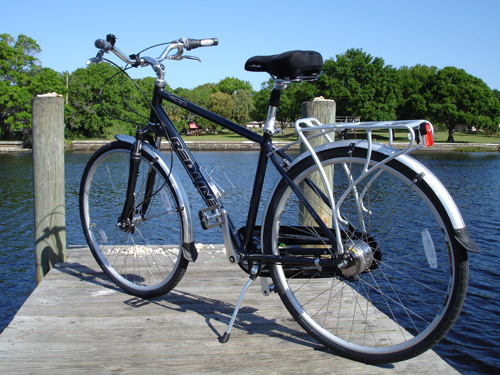 -Sturdy aluminum double wall rims with stainless steel spokes, with flat resistant tubes for trouble-free adventure. 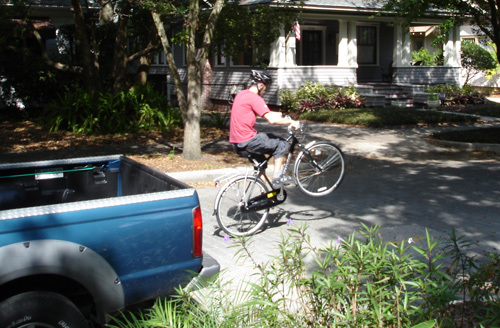 -Comes fully dressed with fenders, rear cargo carrier, full chainguard, & shock-absorbing seatpost. As mentioned in my first article about the bike, this machine comes with a couple of components not usually seen on commuter bikes…namely, the Shimano roller brakes. 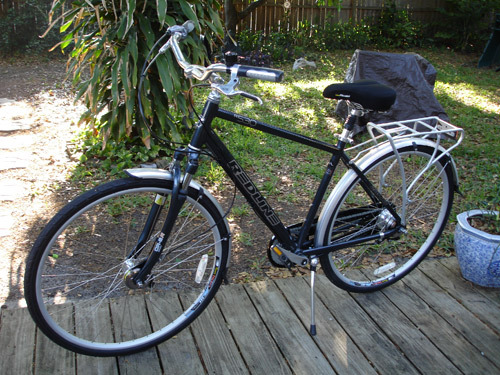 In addition, this bike comes stock with a rear rack, fenders and even a handlebar-mounted bell! Apparently, someone at Redline is listening to what folks want in a city bike. Styling-wise, the bike has a very European flavor, with full chainguard and a very upright and commanding rider position. I can hear it now, though: our European readers are probably thinking, “no, it just looks like a bike!”, but to our American eyes, it has a different attitude and aesthetic than a lot of similarly-equipped bikes on the U.S. market. 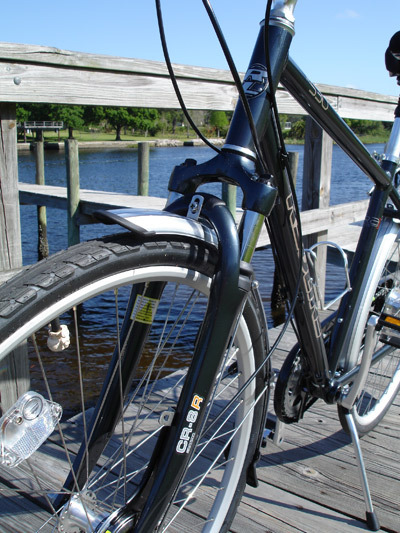 Folks concerned about a harsh-riding aluminum frame need not be worried…this bike is packed with comfort features! 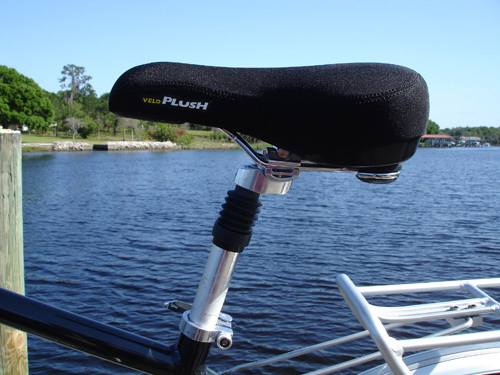 In addition to the suspension fork and shock-absorbing seatpost, the saddle and grips are gel-filled and very cushy. The suspension fork may appear to be somewhat gimmicky (I can’t think of too many other city bikes that have one), but it does the job: taking the sting out of rough roads. 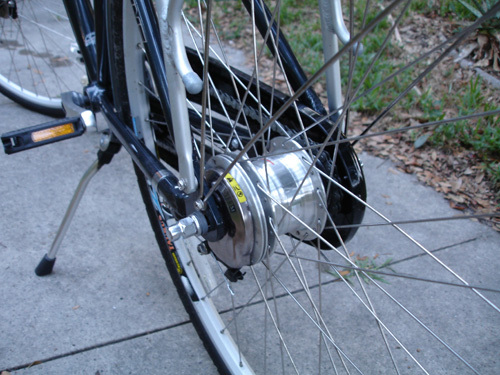 The Shimano Nexus seven-speed hub works exactly as expected: totally awesome. It’s relatively foolproof, smooth and provides plenty of gearing range for all but the very steepest hills. The roller brakes seem (for the most part) pretty spectacular, too. 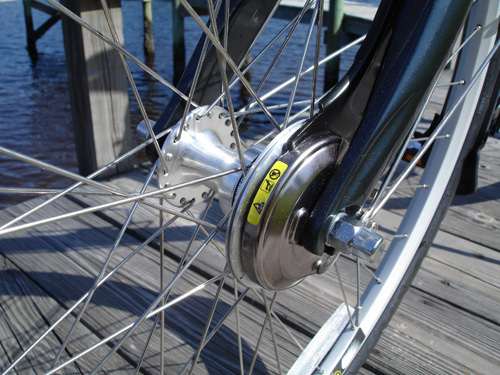 They have most of the benefits of disc brakes (good stopping power in sloppy conditions) but without the maintenance and setup hassles, and can be well-modulated from the brake levers. I found the rear brake to have tremendous stopping power, but I’d have to agree with the late Sheldon Brown’s assessment of the front roller brake…it isn’t all that great. Although it does help slow the bike down, it doesn’t feel particularly strong or confidence-inspiring. One potential drawback of using roller brakes and internal hubs on a commuter bike is the additional complexity of removing a wheel for a flat. 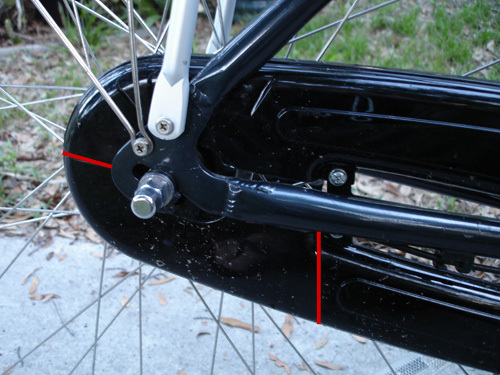 In the front, a minimum of two tools are required to release the wheel from the fork: a 10mm wrench for the brake cable pinch bolt and a 15mm spanner for the axle nuts. In the back, add a screwdriver to the list in order to dismantle the chainguard and get the wheel out of the frame. Granted, many commuters carry a decent selection of tools, but this whole process can be kind of fiddly, especially if you’re running late to work. 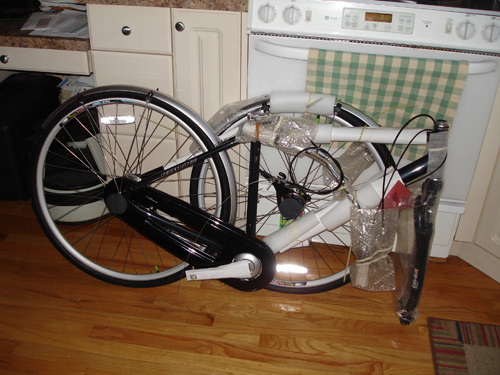 Perhaps this is why Redline specified tough tires and thorn-resistant tubes with the bike? In any case, stay tuned for a complete review in the next few weeks. I’ll get some more saddle time on this bike and report in more depth. In the meantime, I’ll leave you with this…so far, this bike is a blast to ride — ideal for short- to mid-distance rides where you want to arrive in style and comfort! Check out the specs on Redine’s website.